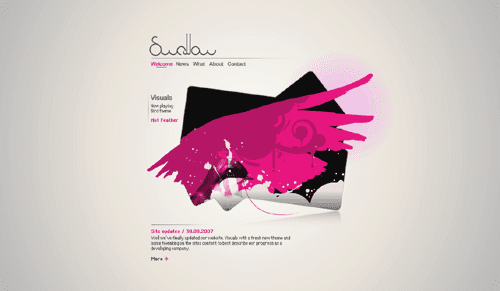 Love it or hate it, the color pink is a color that is often used in web design. 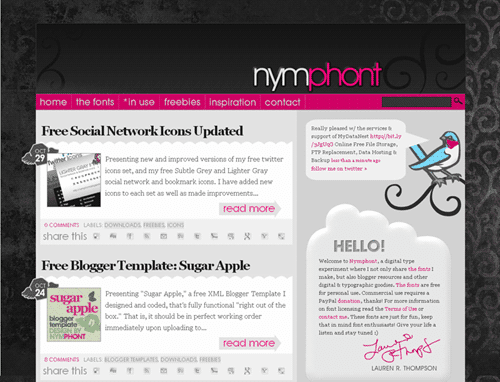 Paired with black, it makes for one of my own personal favorite web color schemes. I use the colors myself. October is breast cancer awareness month as well, so I've rounded up 25 web designs sharing this color combination that are sure to inspire. 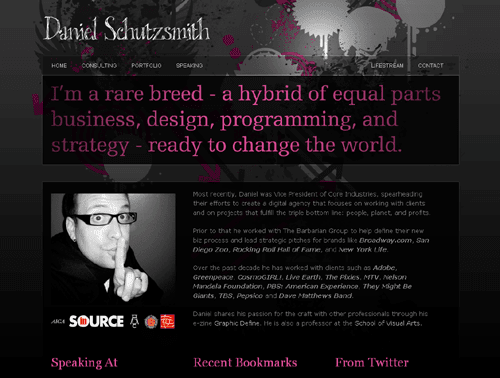 Pink and black along with shades of gray make for excellent web design colors. 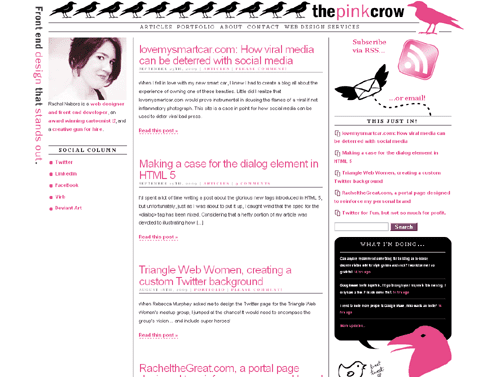 In this roundup you will find a mix of personal sites, flash sites and corporate sites that exemplify how pink and black should be done, along with what I personally liked or think about their design. Nice shading that creates an interesting light effect on the background. Unique layout with crisp graphics. Flash site which clearly expresses the message intended. Clear navigation and again nice shading to create lighting effects on the background. 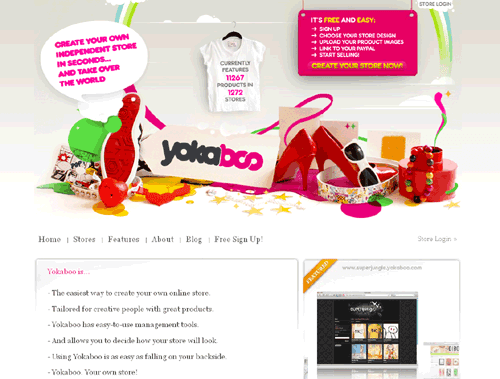 Manages to include a lot of content and still have a minimal sort of style with the use of simple graphics. This is one of my favorites, and I don't typically like flash sites. They use beautiful shading and imagery and use flash effectively I think. 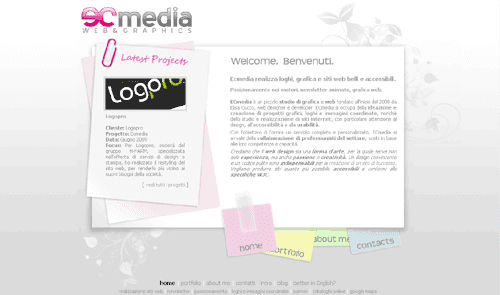 Very user-friendly in appearance, feels welcoming, great design. It's only fitting that Fuel Your Interface would itself have such a fabulous interface. 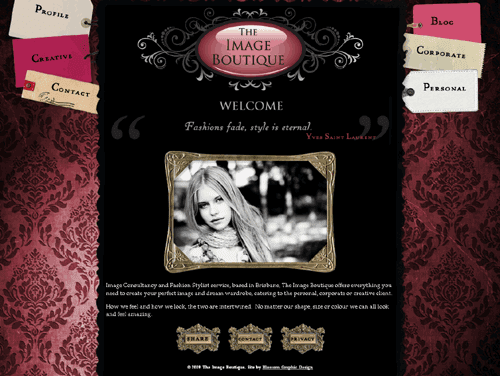 This site has a perfectly organized grid-based layout, everything is clearly defined and easy to identify. 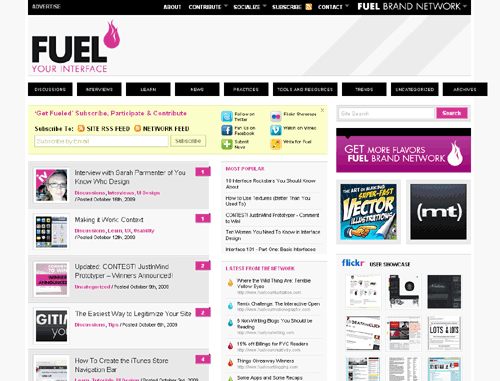 I am a big fan of the Fuel Brand websites. 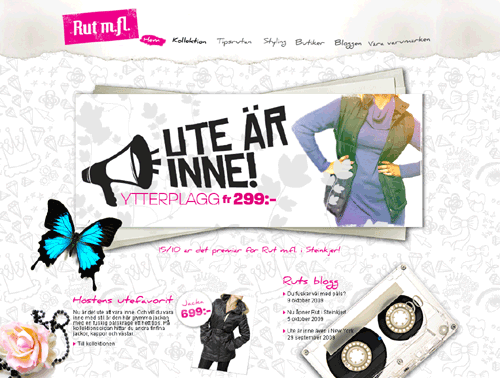 Wonderful clean and modern design that uses refreshing sans-serif type. Must see flash intro/splash screen. Trust me. Nothing too "unusual" about this design, but its a nice clean web 2.0 style, with gradients used niced to create depth to the menus and other areas. Another personal favorite of mine. I love the specific tones they used and the interesting photographs of people used. Great design. 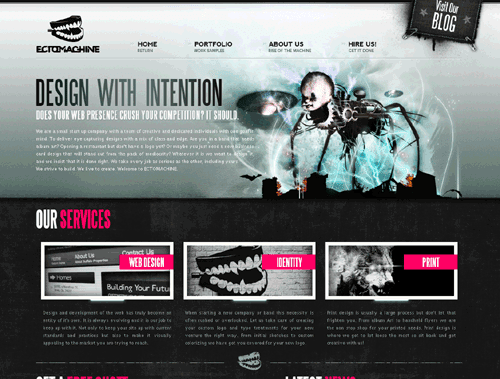 Truly one of my favorite web designs ever, I had to include ECTOMACHINE. Love it, absolutely love it. Lots of content presented in a nice, organized fashion. 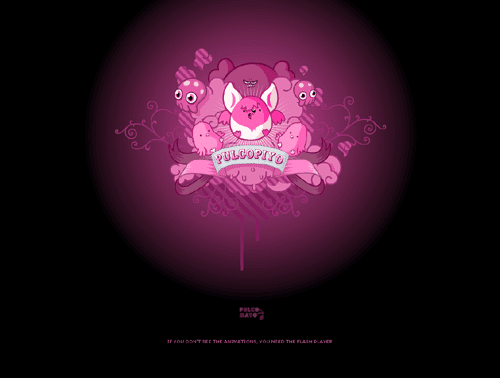 The color here borders on purple, but I thought this site was too cute not to show. 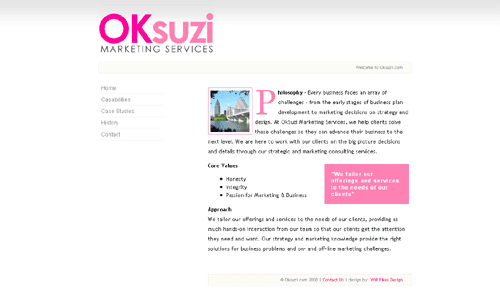 Love the separation in the design by using different shades on the header, body, and footer. 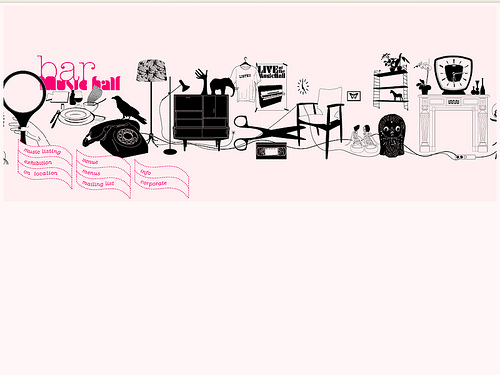 Very hip/trendy use of imagery and grunge fonts and textures. I had some hesitation about including this site because of the name, but it's still a perfectly nice layout, and I love the suble flourishes in the background and nice reflection given to the menu. 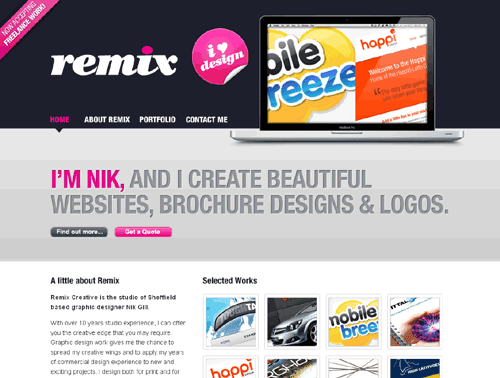 What better site to end with than the stunning Remix Creative website. Simply marvelous design. 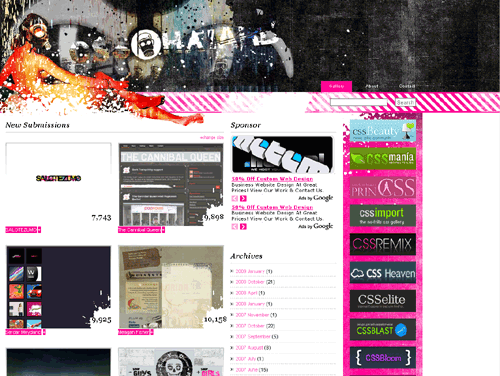 Love the extra large text and overall look of this site. Wait! We're not done yet! I saw this site shortly after posting this, I just had to include it. 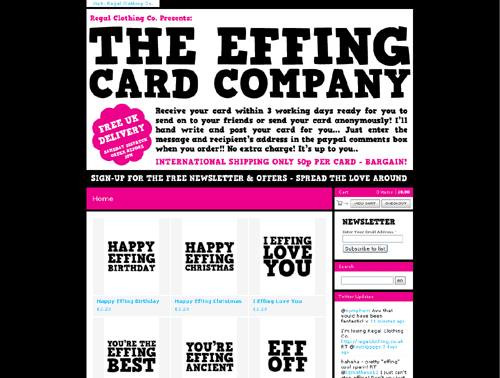 The Effing Card Company rocks the colors pink and black so well. I hope you have enjoyed these sites as much as I have! 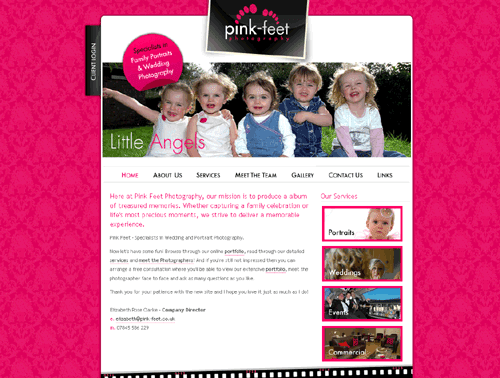 Feel free to share your thoughts below on these sites or let me know of any other great pink and black web designs!